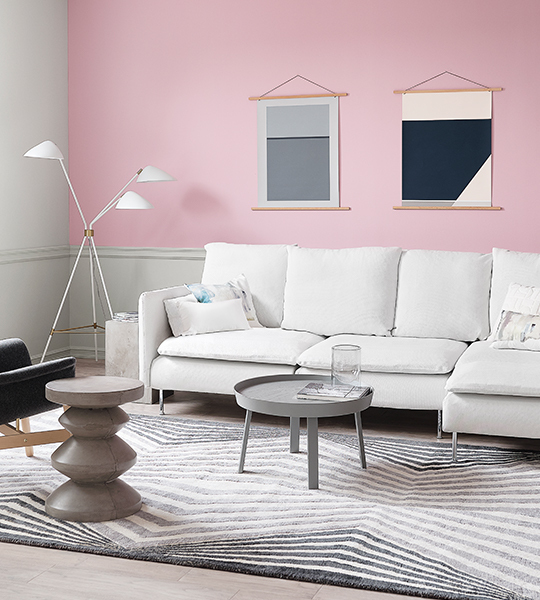 Delightful SW 6289 is a soothing pastel with an understated vibe. 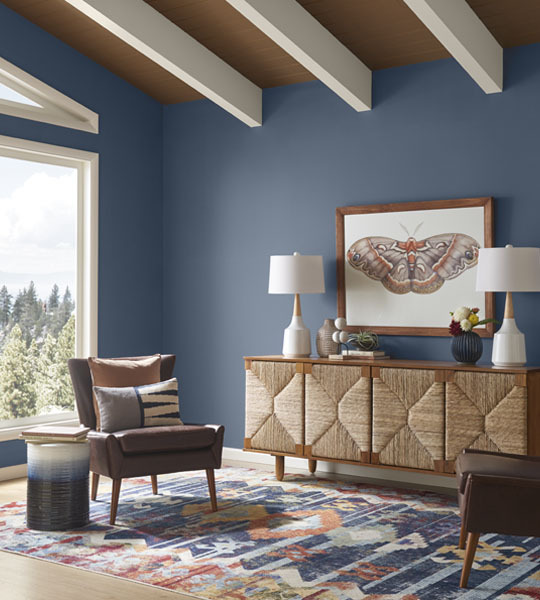 View color>. 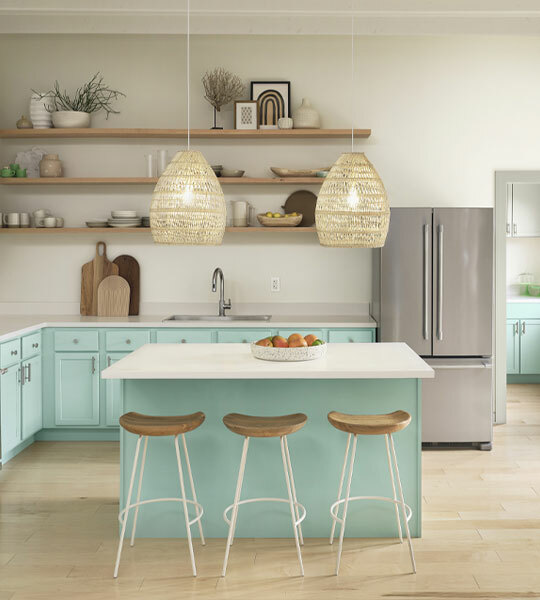 Blue Sky SW 0063 is a fresh, mint tone with a calming vibe. 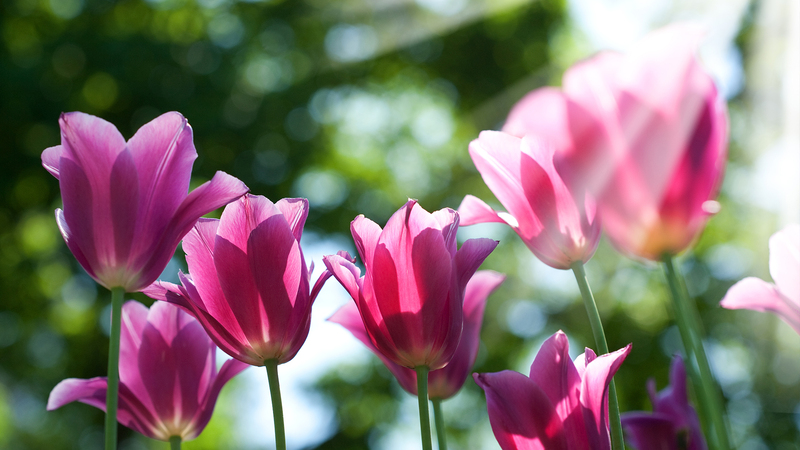 View color>. 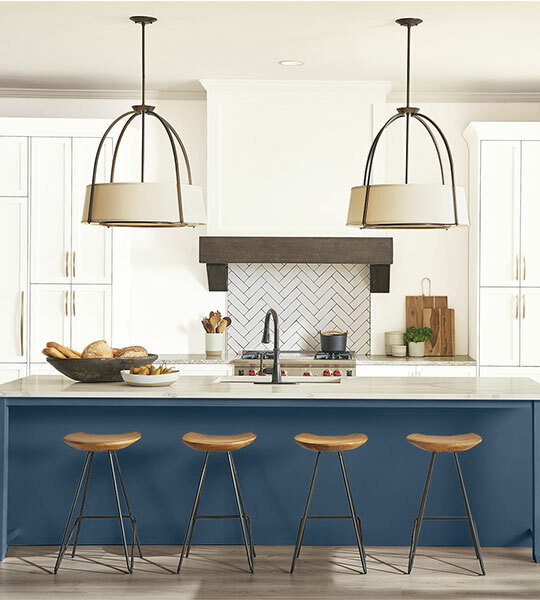 Transform your kitchen with a fresh new color combination>. 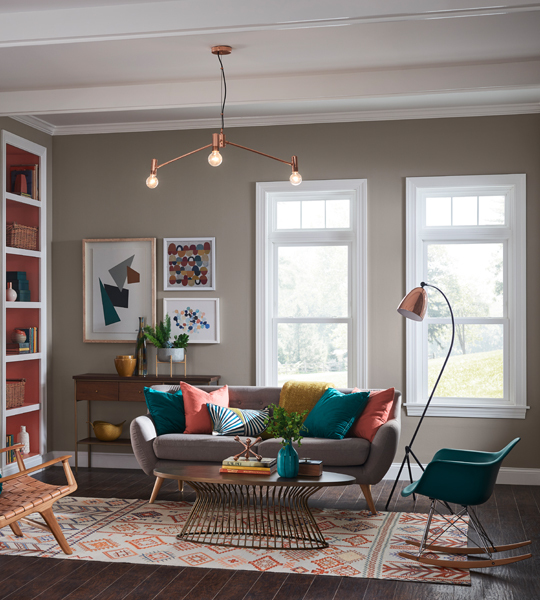 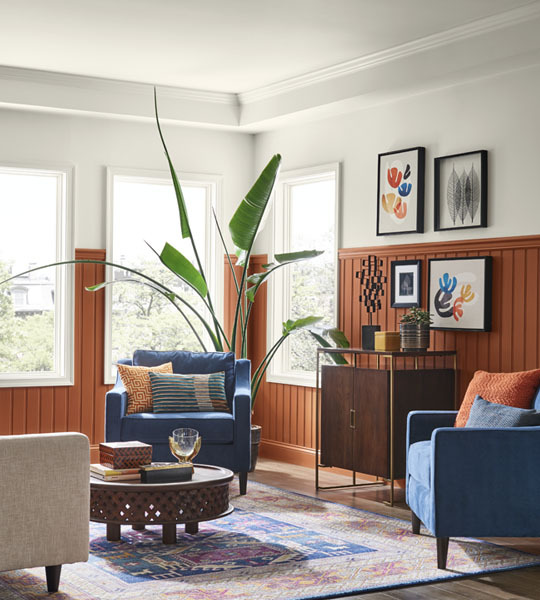 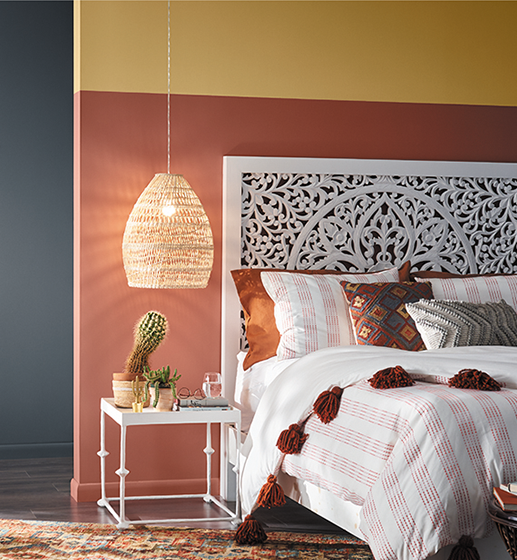 Accompany your vintage modern style with Sherwin-Williams Distance SW 6243>. 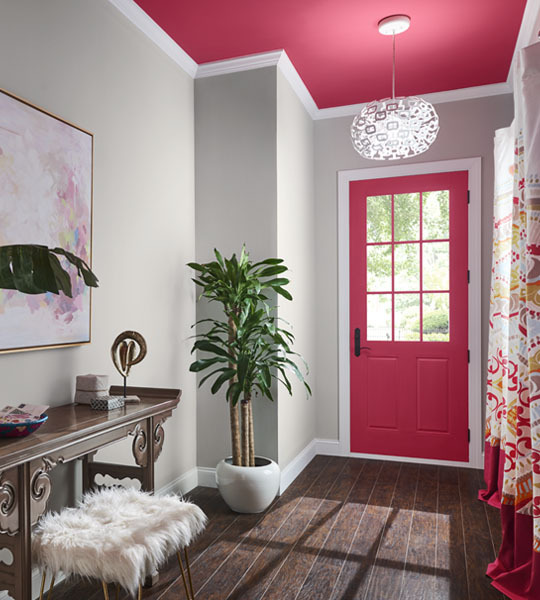 Get the right tools to begin every painting project with confidence. 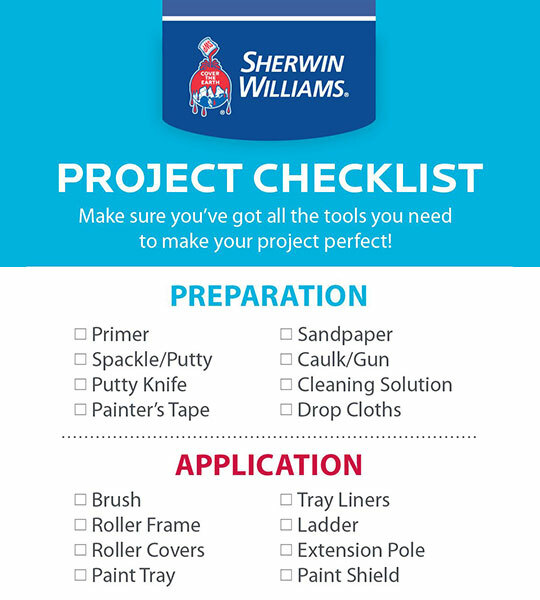 See project checklist>. 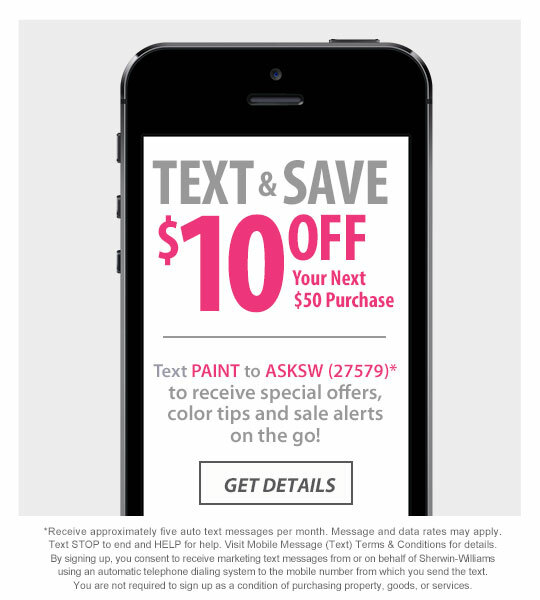 Text PAINT to ASKSW (27579)* to receive special offers, color tips and sale alerts on the go!